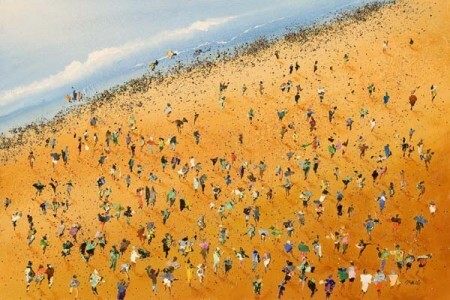 Neil McBride was born in Doncaster, UK in 1950. 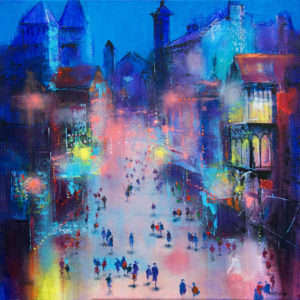 He graduated from Doncaster College of Art with distinction in Applied Art at Advanced Level, in 1970. 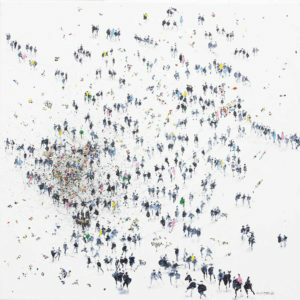 McBride works solely in the medium of painting. 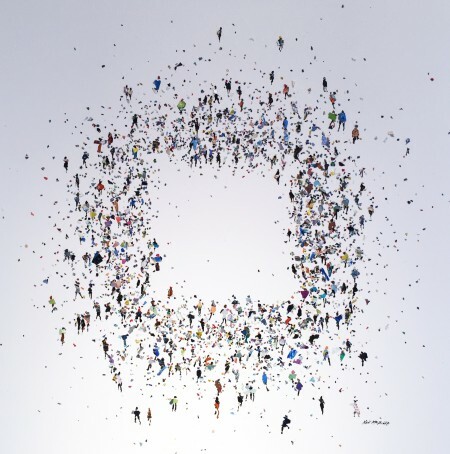 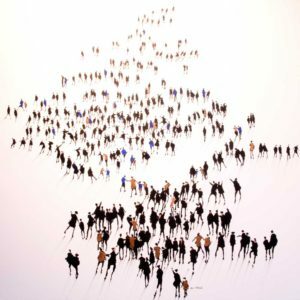 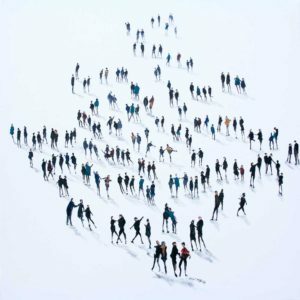 During his 40 year, award winning, career in advertising and graphic design McBride also picked up a Clio nomination for his work on the ‘People Campaign’ for The Halifax bank which still runs in a modified form today. 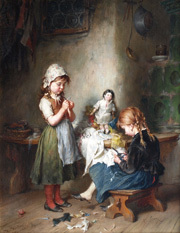 This work served to later inform his latest body of contemporary artworks. 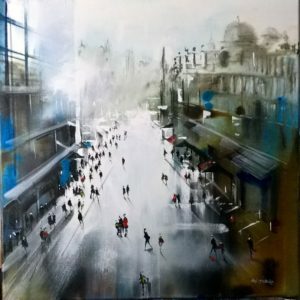 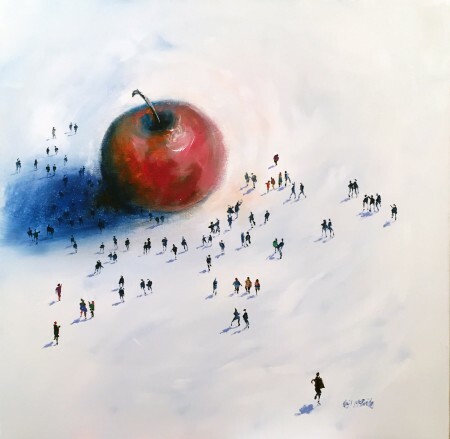 Since 2004 Neil has developed his art practice full time exhibiting in commercial galleries and shows throughout Yorkshire. 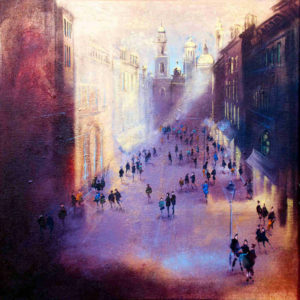 The Leeds Open Exhibition, in aid of St Gemma’s Hospice, where he was voted Best Artist in Show by the public. 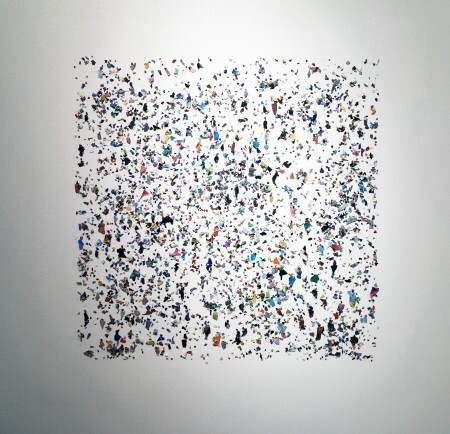 The inaugural Platform Open exhibition. 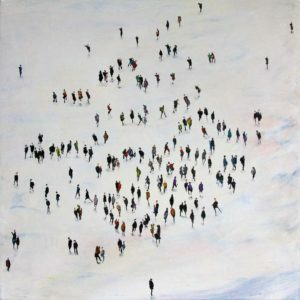 A juried show at Morphets in Harrogate. 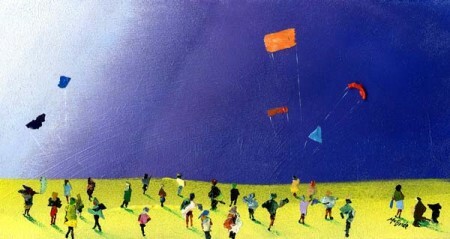 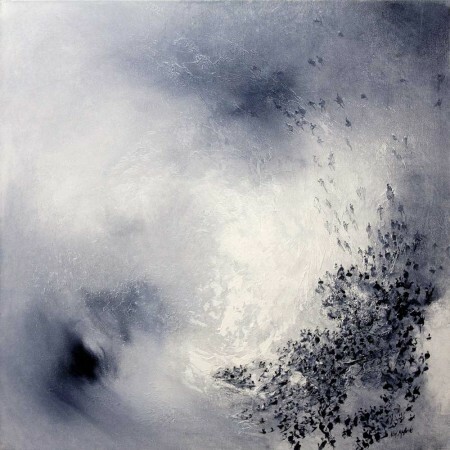 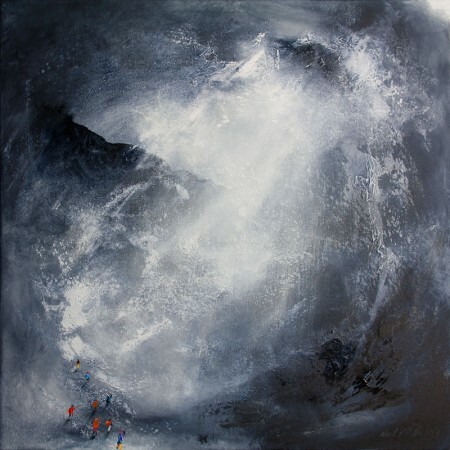 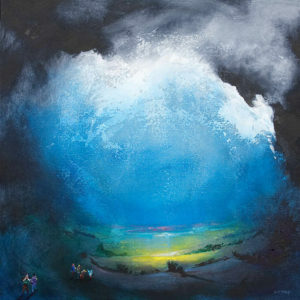 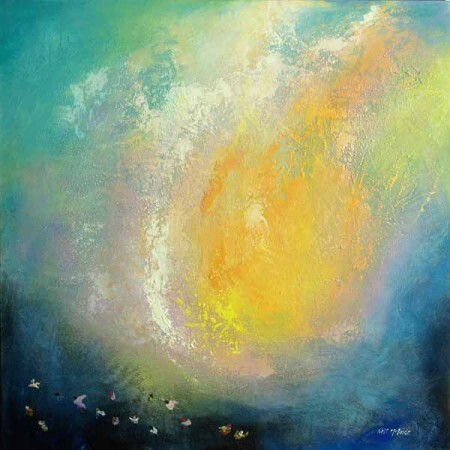 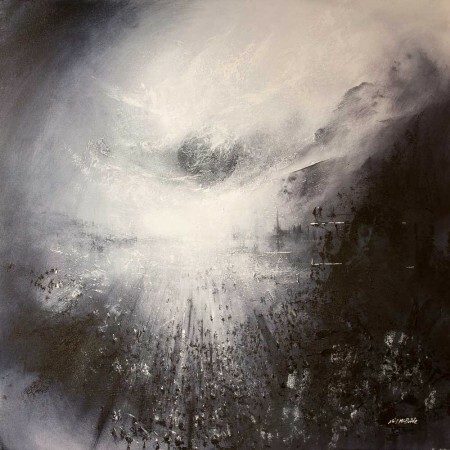 McBride was also a participant in the North Yorkshire Open Studios again last year. 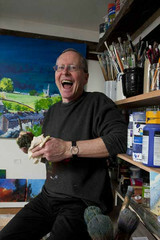 He lives and works from his home studio near York, UK. 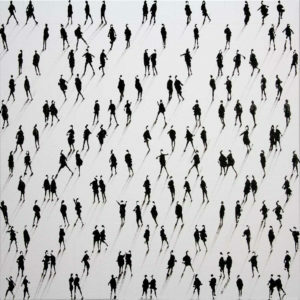 Due to his background in commercial art McBride’s initial paintings were overtly commercial in style and subject, which has given way to a desire to produce incisive paintings of greater integrity, imagination and creativity without a reliance on photographic reference material. 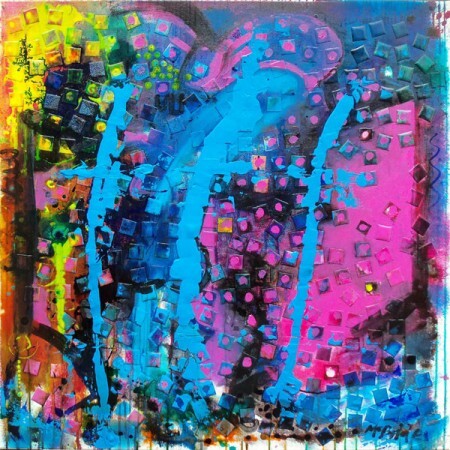 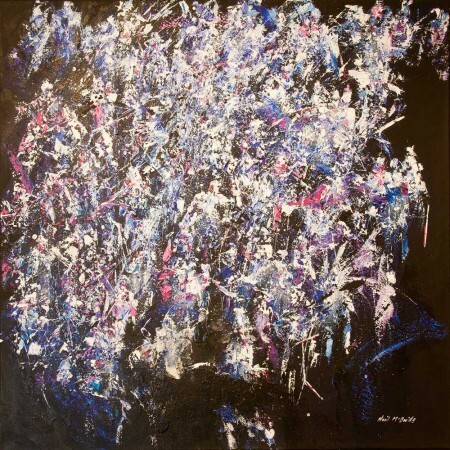 A huge range of influences, include abstract expressionists like Franz Kline and Pollock. 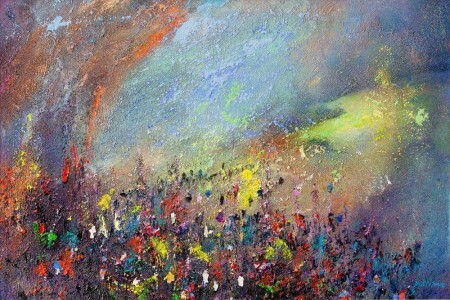 Figurative painters like Francis Bacon and Turner and colourists like Howard Hodgkin and Monet. 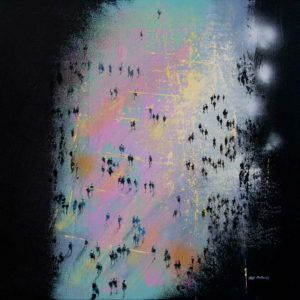 The list of influences is endless. 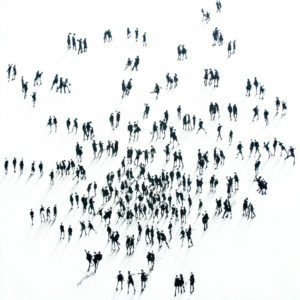 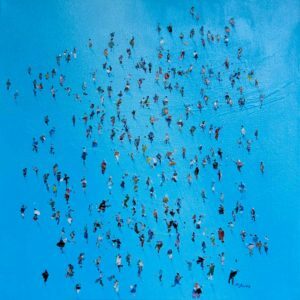 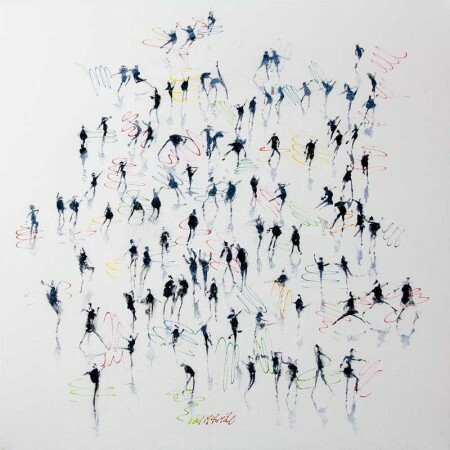 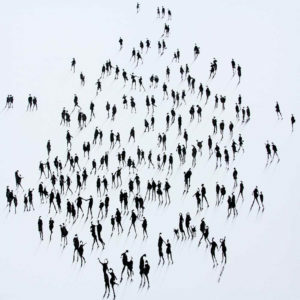 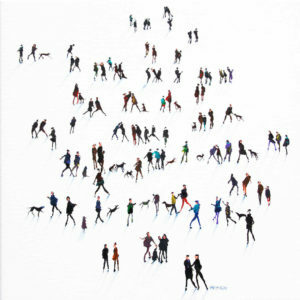 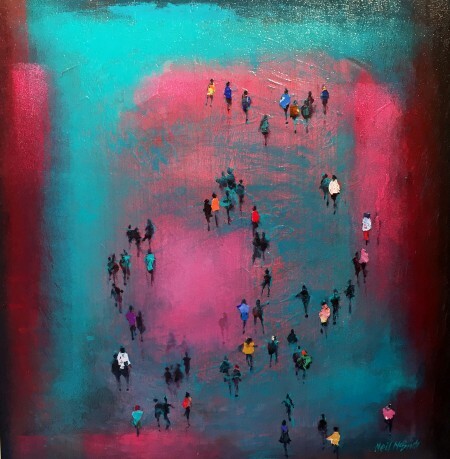 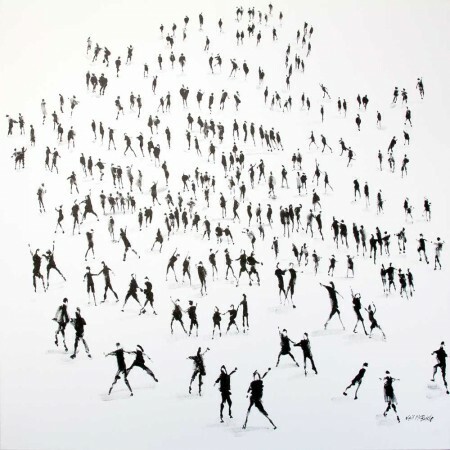 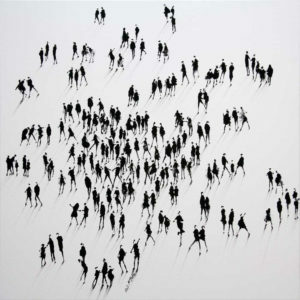 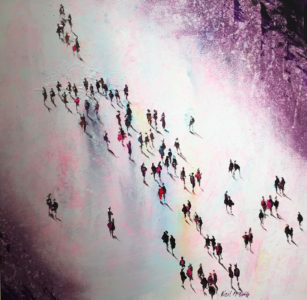 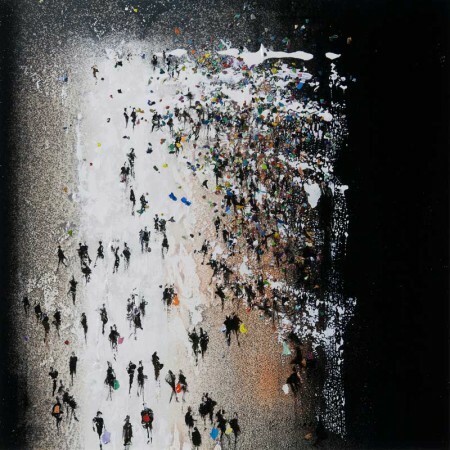 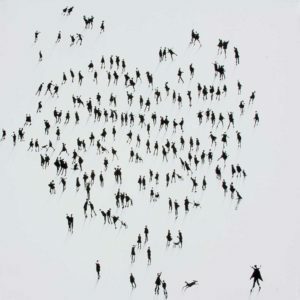 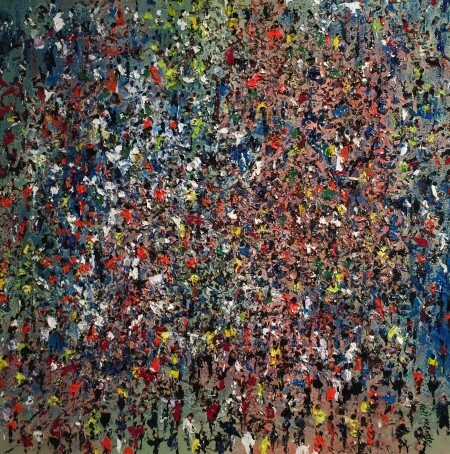 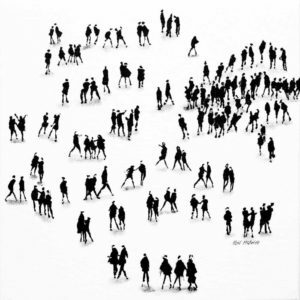 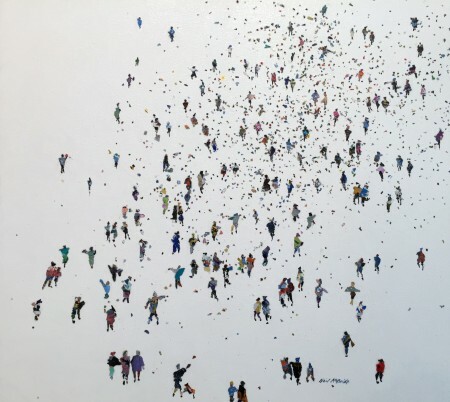 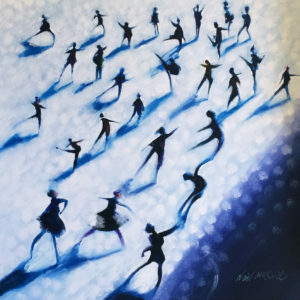 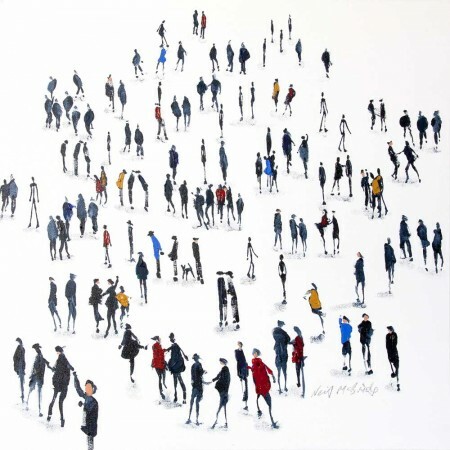 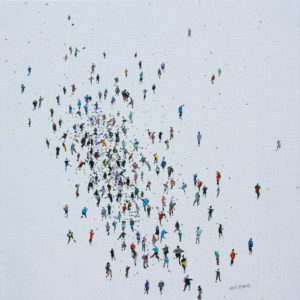 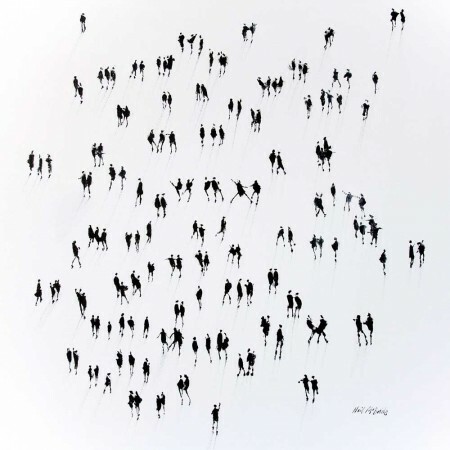 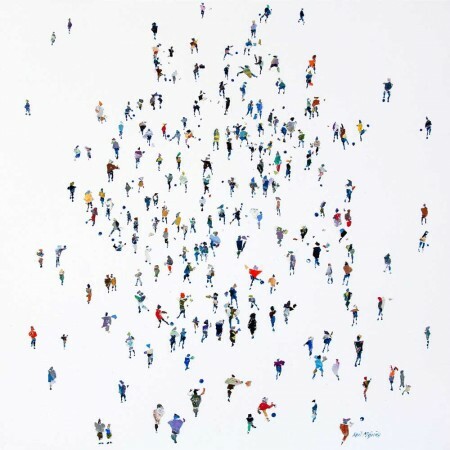 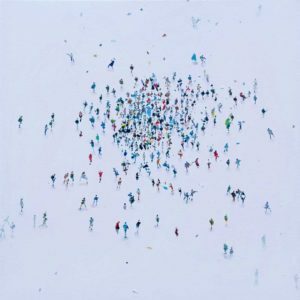 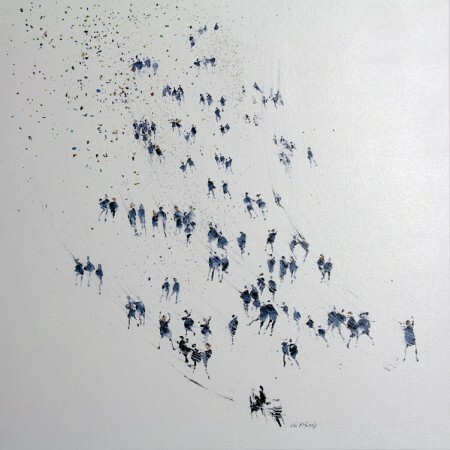 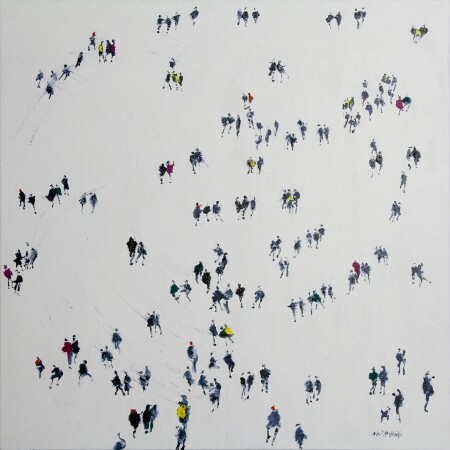 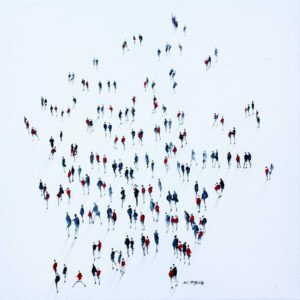 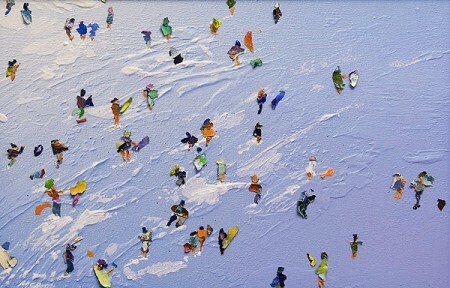 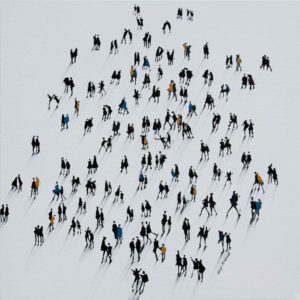 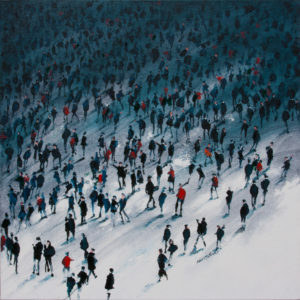 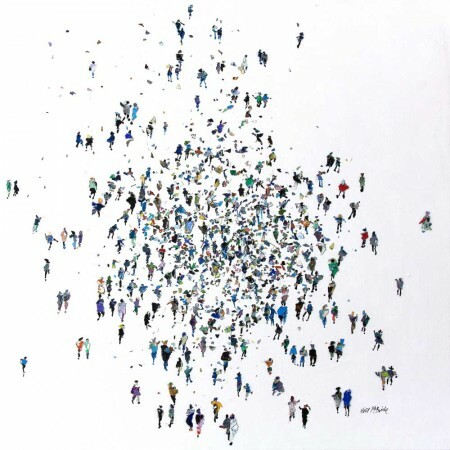 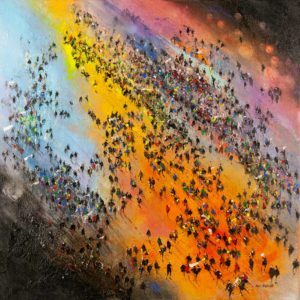 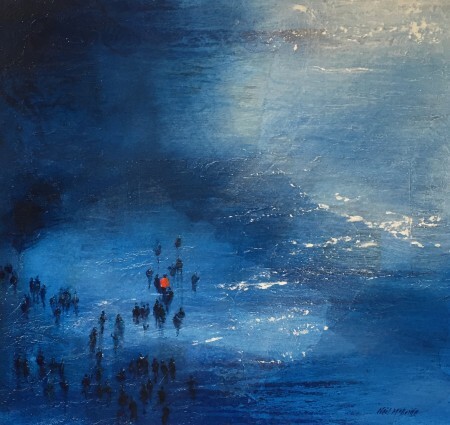 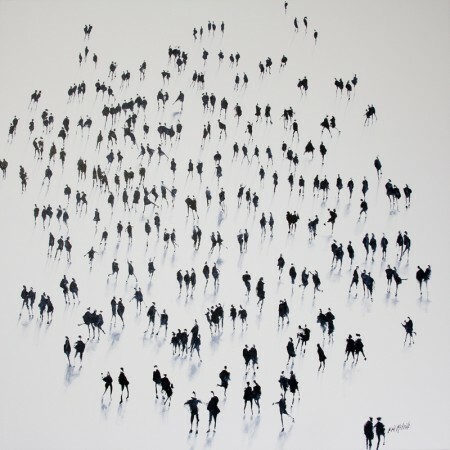 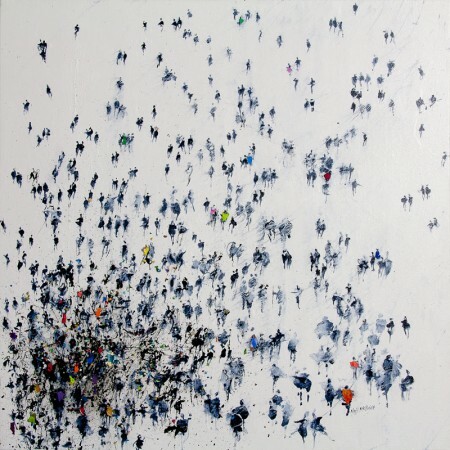 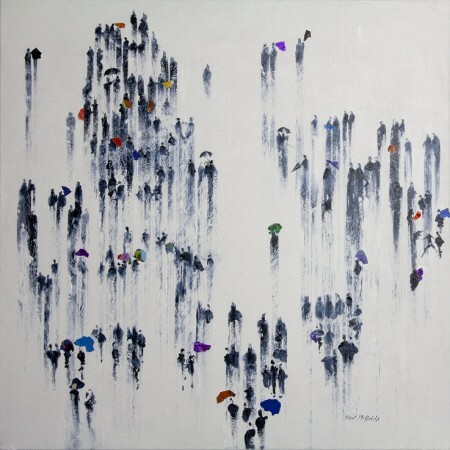 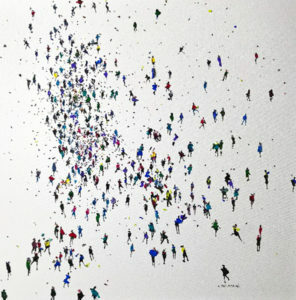 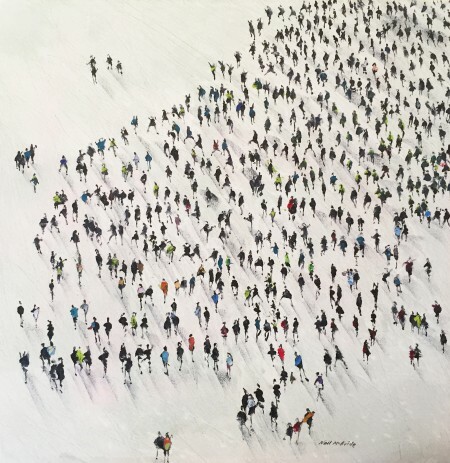 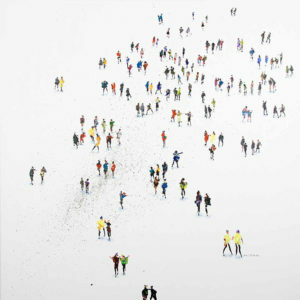 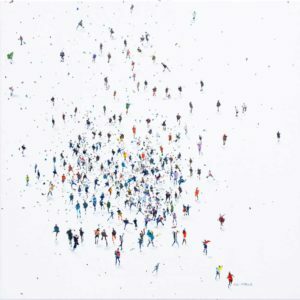 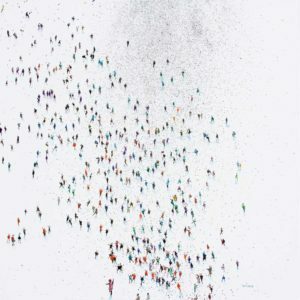 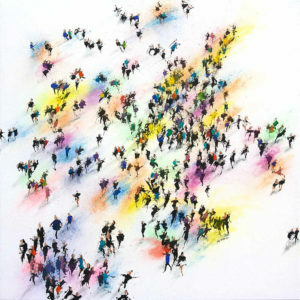 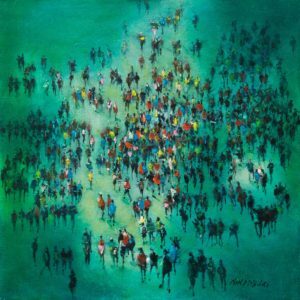 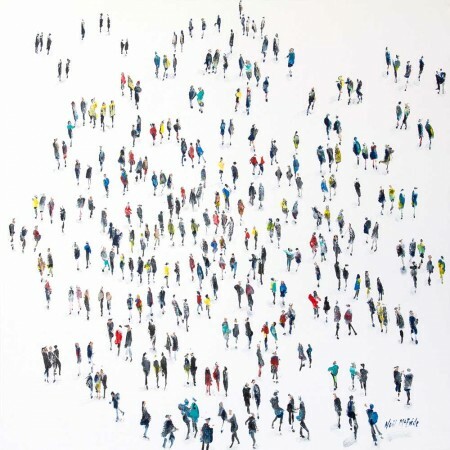 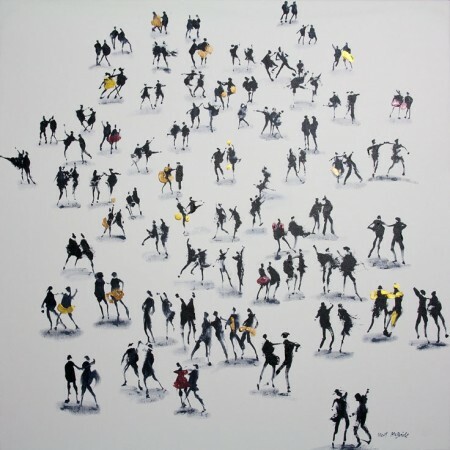 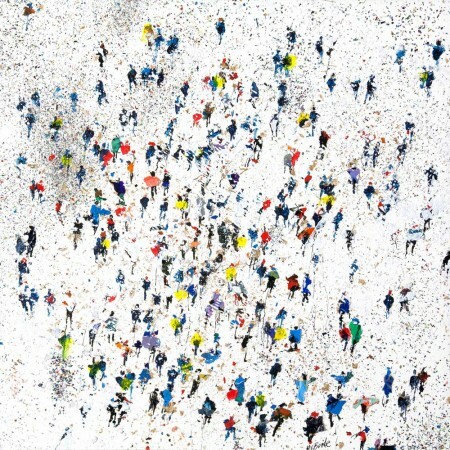 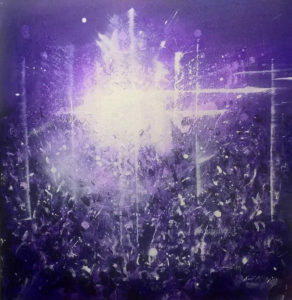 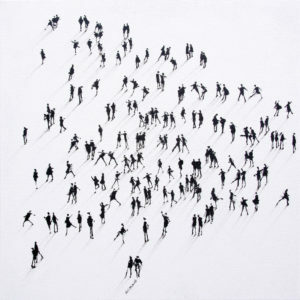 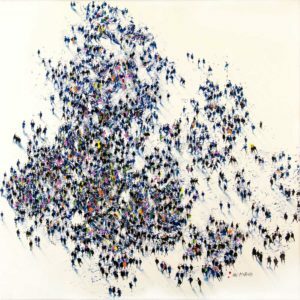 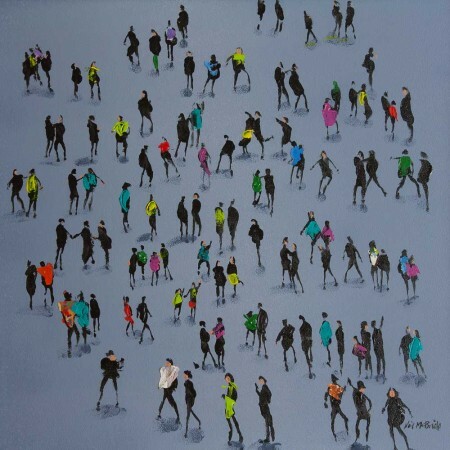 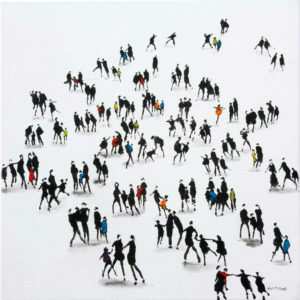 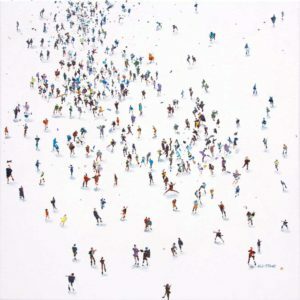 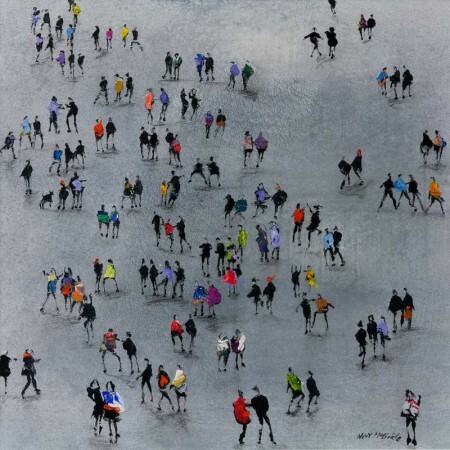 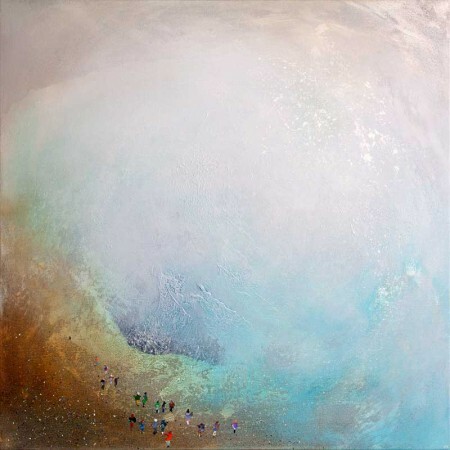 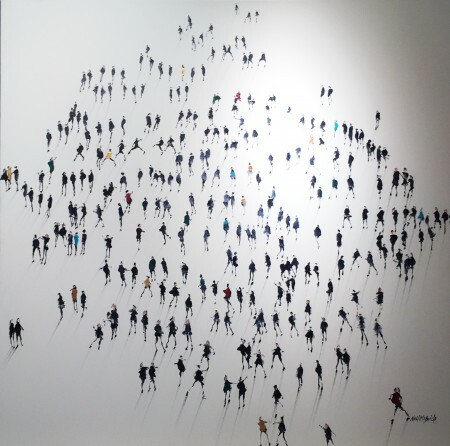 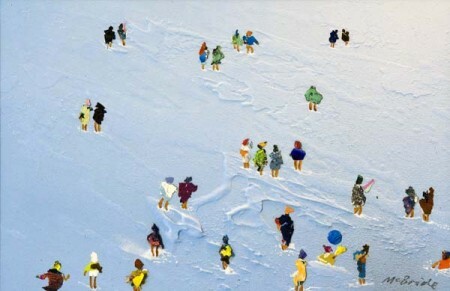 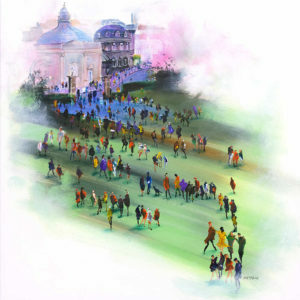 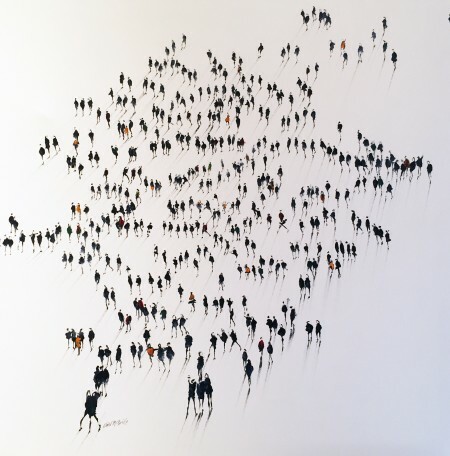 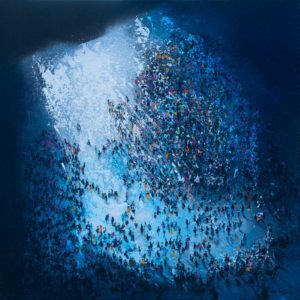 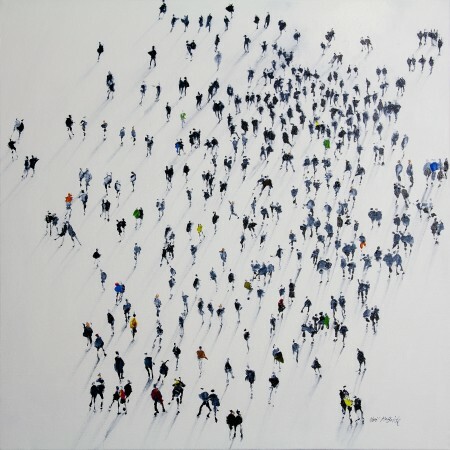 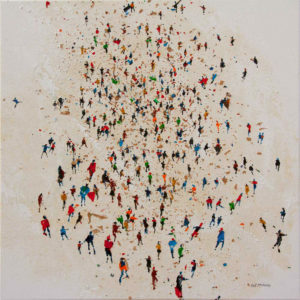 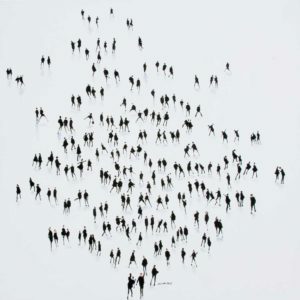 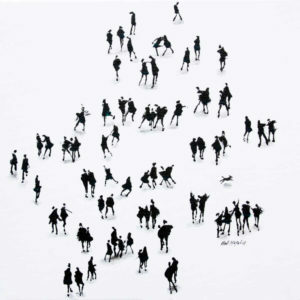 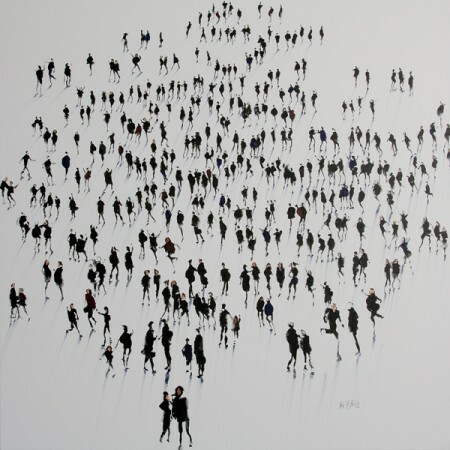 McBride continues to develop his paintings featuring crowds of people in landscapes. 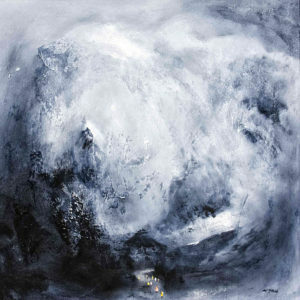 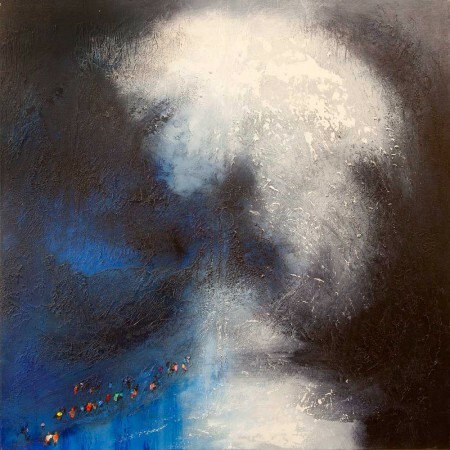 which allow him to continually cross over from figuration to semi abstraction; mono to colour; and back again without any loss of spontaneity and continuity.Many traditional painting techniques and methods are employed but the paintings often begin without any pre-conceived idea of an event or narrative, much like the way many writers allow a novel to evolve on the fly. 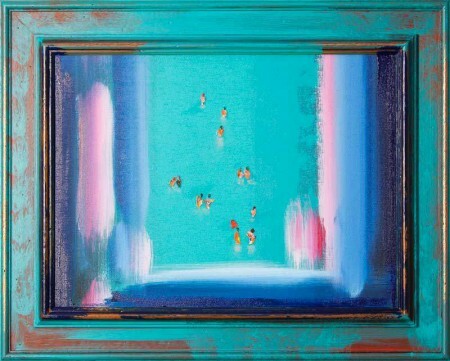 This helps to maintain a level of intrigue and excitement with every piece. 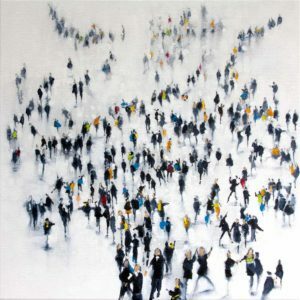 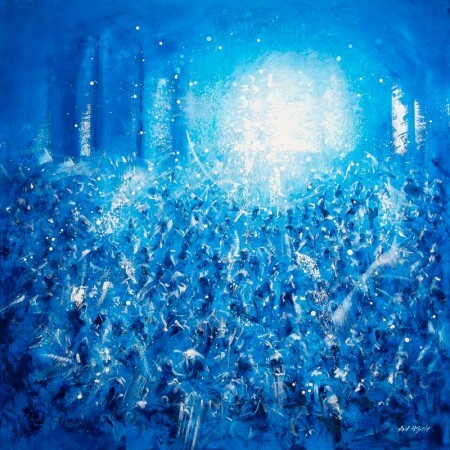 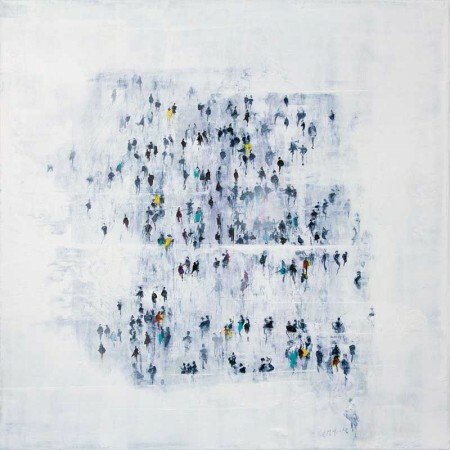 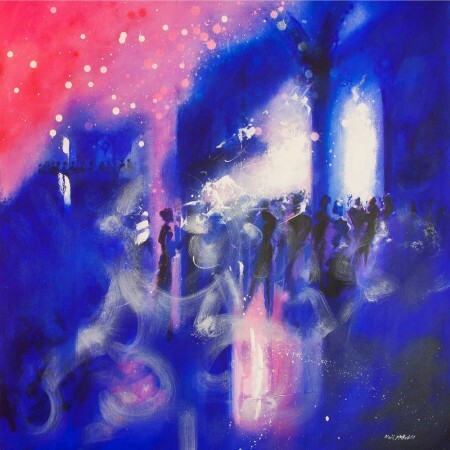 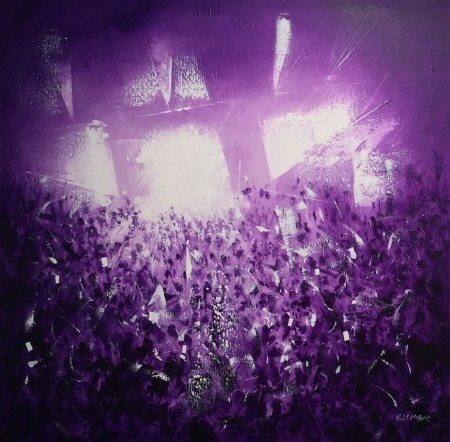 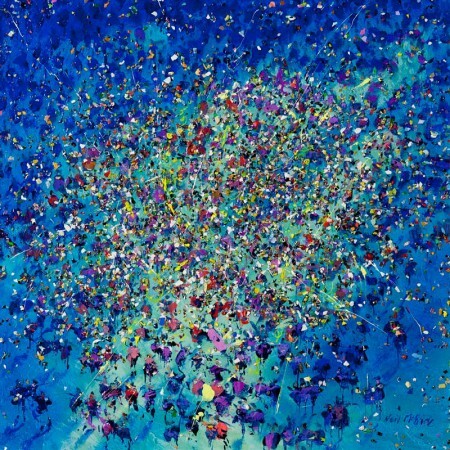 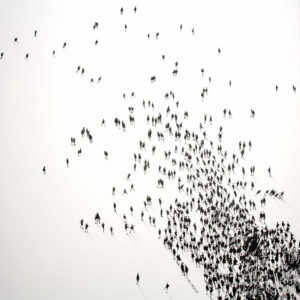 McBride’s crowds are designed to act as triggers to the viewer’s own imagination, often resulting in lively discussions about the narrative content and events portrayed in the paintings. 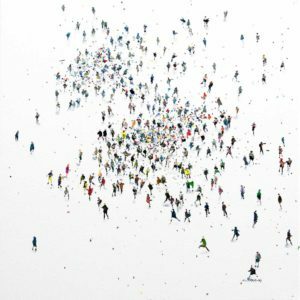 During 2016 and beyond McBride is continuing to consolidate his participation in benefit shows and broaden his horizons into new markets.